Motorists can now contribute to help Wales’ police forces keep roads safe by putting digital footage from dash cams and other devices to good use. (Cyclists can also submit helmet-cam or light/camera footage). As part of Operation Snap, members of the public throughout Wales can submit footage and images showing traffic offences being committed – from driving dangerously or carelessly to contravening solid white lines, using a mobile phone while driving or ignoring traffic lights. “Footage can now be submitted…in a very simple and streamlined process. This provides us with the ability target those who drive dangerously and reduce the number of fatal or serious road related accidents that occur on our roads. My understanding is that between 12 to15 Police Services in the UK have shown an interest in the Wales system, with 9 likely to be introducing it soon. Some do or are likely to shortly introduce other systems of submitting 3rd party footage of illegal driving, such as Avon and Somerset, Sussex, in London there is https://beta.met.police.uk/report/report-a-road-traffic-incident/ and Essex have https://saferessexroads.org/extraeyes/extra-eyes-submit-footage/. In order to find out what is happening in your area, contact the office of the Police and Crime Commissioner. Also see the good summary of what has been happening in Local Transport Today 27th October. 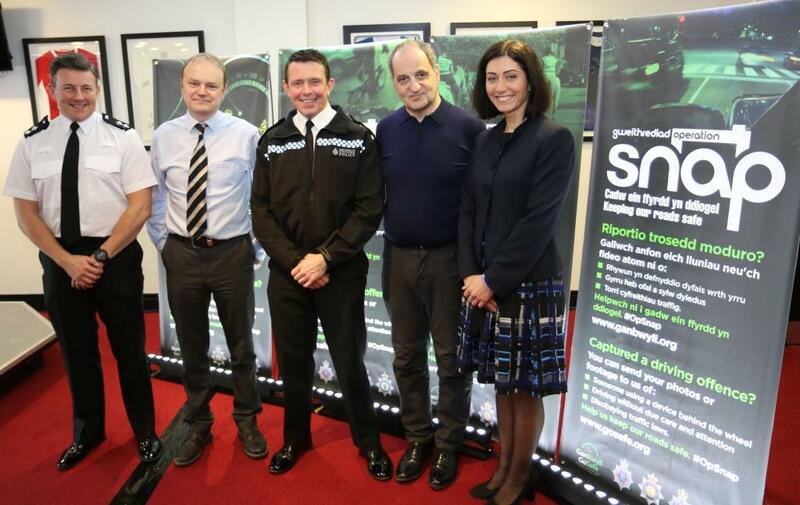 My thoughts on this initiative is that it shows a major commitment on the part of Wales Police Services to respond to public concern about illegal driving which endangers other road users, with the focus on deterring people who may otherwise drive badly. The key issue is how it develops in terms of public acceptance, willingness to submit footage and appropriate responses from the Police Services which will be taking this or similar systems up. So, as with all matters of road danger reduction, the issue is the changing of a culture which tolerates excessive rule and law breaking which endangers others. Knowing that bad driving may be reported and lead to unpleasant consequences could be part of that change. Watch this space.